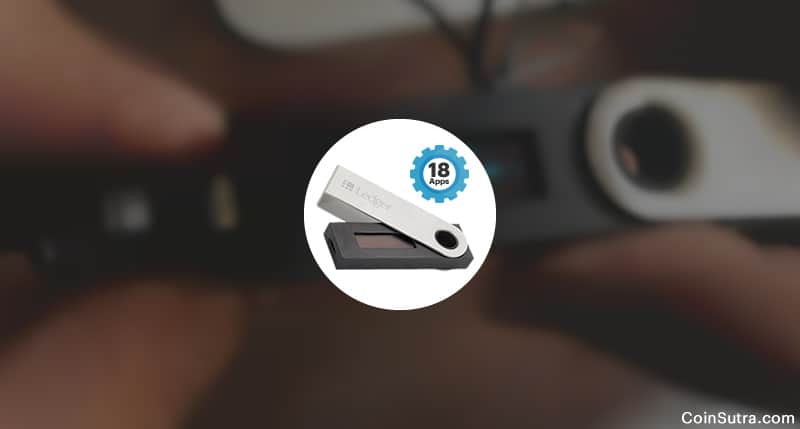 France-based Ledger, the pioneer of cryptocurrency hardware wallets on Wednesday announced its new firmware update for its Ledger Nano S hardware devices. Ledger Nano S is a powerful hardware wallet for cryptocurrencies. You can store more than 25 coins and hundred of ERC20 tokens on it. It is sleek and has an attractive European touch to its design. Here is a video guide by Harsh Agrawal on how to start using Ledger Nano S.
Also, read: Which Cryptocurrencies Are Supported By The Ledger Wallet? With the new firmware update on Ledger Nano S, one can store up to 18 different cryptocurrencies apps on it at any given point. The update’s version is firmware 1.4. Screen lock management has been improved. Previously, the device used to screen lock in itself after few minutes of inactivity but now with a long press (of 3 seconds) on both buttons of your Nano S, even when in use (whether in the dashboard or while using apps), will enable you to lock the screen. Now, to initialize and setup you Ledger Nano S completely, one needs to enter and confirm all 24 seed words. This is done to ensure that the user has backed up the 24 words correctly, which I think is tiring work but worth it for securing your cryptos forever. In the new firmware update, several other optimizations have been implemented in order to improve the user experience. For example, the device is now faster, owing to some cache optimizations. Last but not least, you can install more apps on it at the same time due to optimization of apps. This limit is up from 4 apps to 18! I would say this is commendable optimization by Ledger’s team without increasing the memory and this shows the quality of engineers they have onboard for making the best hardware wallet for the community. How to update Ledger Nano S? Use this guide. Also, watch this embedded video to understand more about firmware update of Ledger Nano S.
Is it mandatory to update Nano S device? It is not mandatory but from a security point of view, the update is highly recommended by the Ledger team. After 20th March, the device will continuously bug you to update your firmware but will not block you. The update is done to enhance the UI and provide more features on a single Ledger Nano S device. Apart from that, there are two security bugs that were deducted in Ledger bug bounty program so this firmware will fix them as well. Ledger will be sharing all the details about the fix & bugs after 20th March. How many apps/coins can one have on Ledger’s firmware 1.4? One of the user experience gains of the 1.4 is the possibility to install much more apps on the Nano S. The global limitation is related to the small amount of memory available on the device. The new firmware doesn’t expand the memory but optimizes the size of Bitcoin-related apps. Many cryptocurrency projects are clones of the Bitcoin blockchain and therefore share most of the signature code (such as Bitcoin, Bitcoin Cash, Bitcoin Gold, Litecoin, Dogecoin, Dash, Zcash, Komodo, Stratis, PosW, Pivx, Viacoin, Vertcoin, Stealthcoin, Digibyte, QTUM, Hcash). By refactoring all common codes in a library (hosted in the Bitcoin app), Ledger has been able to significantly lower the size of the other apps. On this principle, it is possible to install up to 18 apps sharing this library. But if you install apps with a completely different code base (for instance: Bitcoin, Ethereum, Ripple, FIDO U2F, Password Manager) you’ll still be limited to 4 or 5 apps. In conclusion, depending on the type of apps you install, you’ll see a very different result. Most probably, you will be in the 10 to 12 apps range. Could I lose my funds during this update? No, you will not lose anything as long as you have the correct backup phrase or seed stored safely with you. And neither your seed will be wiped off during the update but still, make sure you have the correct seed already that you would have noted during initial set-up. Note: This update only applies to Ledger Nano S devices. Almost all good products in the world keep bug bounty programme in place and the same is true for Ledger. 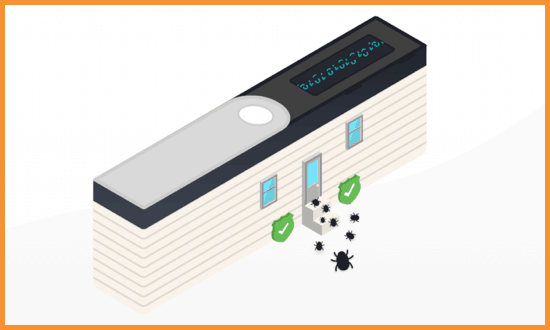 Ledger was able to fix these bugs because two researchers successfully found bugs in firmware 1.3. Bug bounties are challenges wherein one tries to exploit or find a bug in a software for ethically fixing it and hence earning rewards for it. Check out Ledger’s bug bounty here. And lastly, CoinSutra cannot stress enough how important it is to have aLedger Nano S in your pocket if you are a long-term player and want to keep your cryptos secure. If you’re looking for the best hardware wallet, there’s nothing better than the Ledger Nano S.